God's Message of salvation was with him at creation. In fact, by nature, the one who was the Message was God himself. John wants us to know that Jesus, God's Word and ultimate Message, was with God from the very beginning. The one who turns water to wine, feeds the 5000, and raises Lazarus didn't make his human appearance on earth until he was born in Bethlehem, but he has always been there. He is God with us, as Matthew puts it (Matthew 1:23). He is God come to visit us as Luke tells us (Luke 7:16). He is the Son of God as Mark reminds (Mark 1:1). 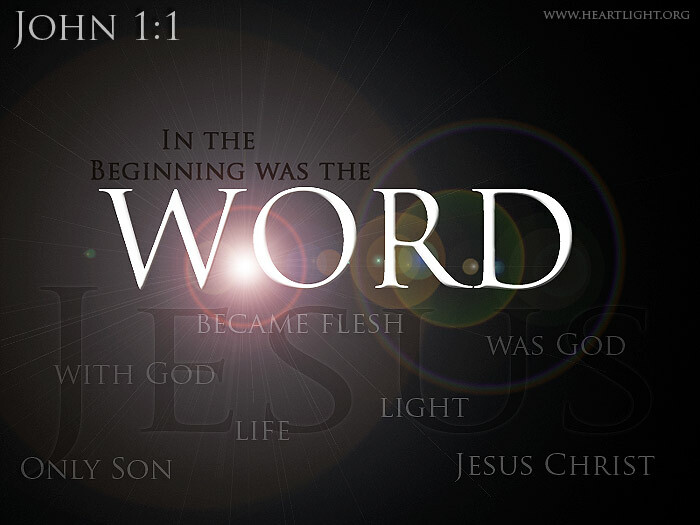 He is God's ultimate and final Word (Hebrews 1:1-2)! Father, help me better know your Message, both in print and in life. Please teach me more about Jesus and his heart for people and his love for you. May he be my Lord in word, deed, and motivation. In Jesus' name I pray. Amen.